I read The Tao of Physics on a recommendation from a great professor I had in my final semester of college in the spring of 2007. It remains one of the most influential and important books in my life and it's one of the first books I'd give as a recommendation for others to read. 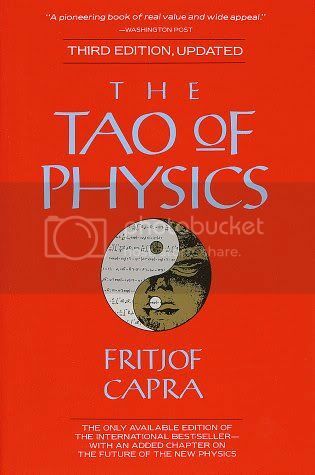 The author is Fritjof Capra who was a theoretical physicist for many years and discovered striking parallels between what modern physics was discovering and what the mystical eastern traditions such as Hinduism, Buddhism, and Taoism have been saying for centuries. Lately, I've been thumbing through one of Capra's later books called Uncommon Wisdom (specifically the chapter where he interviews Stanislav Grof and R.D. Laing) and so, since he was on my mind, I decided to check out what there was on YouTube for Dr. Capra and found a pretty cool late-70s/early 80s-era documentary exploring Mr. Fritjof Capra, his awesome book, and his theories. I highly recommend checking it out, here is the full doc.